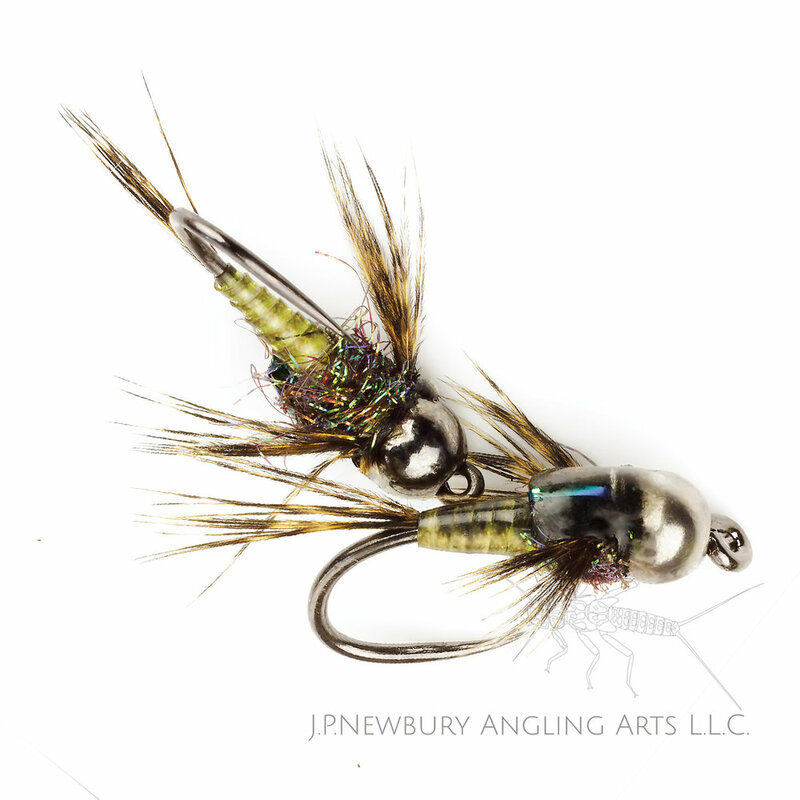 I started experimenting with these skinny tinsel bodies patterns late last winter with some stupid crazy luck. Abdomen: 2/3 opal blue 1/3 copper brown mylar tinsel. Dorsal: Black painted on back of bead. Another white beaded pattern from my collection that I love to use as a follow up pattern on days other flies just aren’t getting the job done. Tail: Natural dark mottled CDL. Abdomen: Underbody, pearlescent mylar. overwrapped with Hends body glass half round clear. Ribbed with a very spars dubbing loop of white hares mask fur. Collar: natural red fox squirrel body fur. My take on the ever popular Copper John with some new materials to make a green drake. Tail: Dyed golden olive speckle Coq de Leon (CDL) hen saddle. Abdomen: Hareline tapered synthetic quill golden olive over a white thread base and dorsal side colored with gray copic marker. Legs: Dyed golden olive speckled CDL saddle. 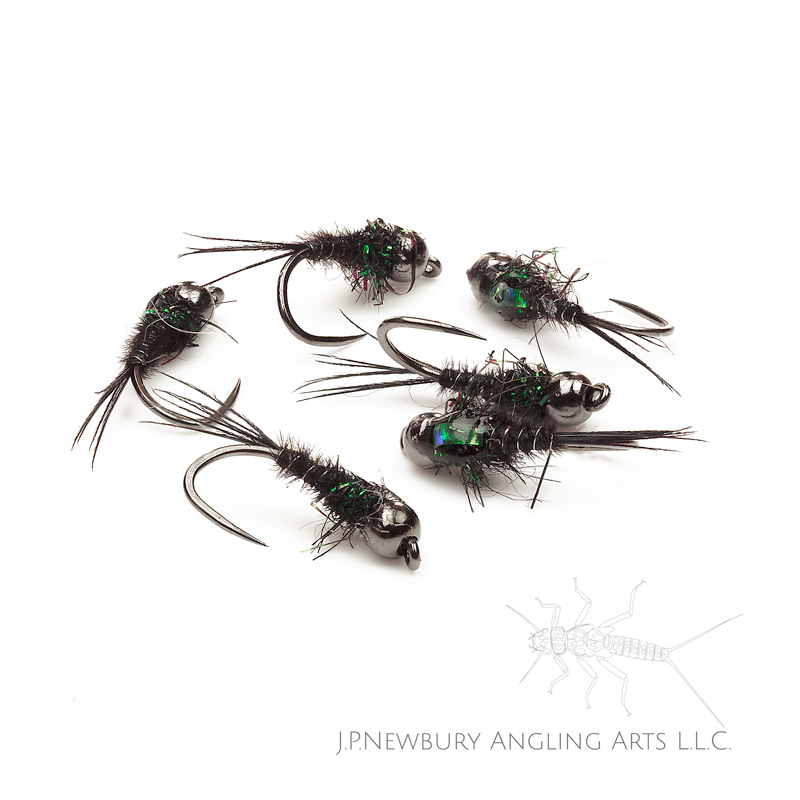 Wingcase: Black thin skin, small pearl tinsel UV resin. The red and black color theme is centuries old and this pattern capitalizes on that partnership. Tail: Black goose biots size match to hook, don't use too large a biot. Legs: Dyed tan Brahma hen. Wingcase: Black thin skin, small pearl tinsel, UV resin. 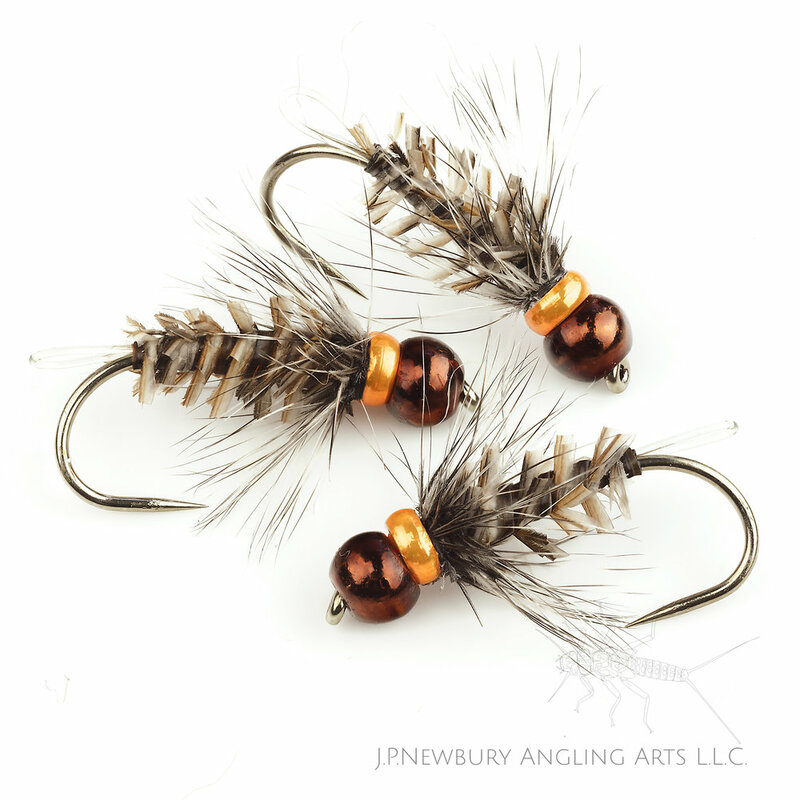 My take on the ever popular Copper John. Abdomen: Copper brown and black wire wound together. Legs: Dyed tan Brahma hen sadle. Collar: Fl. Orange Veevus stomach body thread. Counter Rib: Small stainless steel wire. Thorax: Black peacock ice dubbing. Wingcase: Peacock mylar tinsel, UV resin. Hook: Firehole Sticks 633 #8-14. Tail: Dyed golden tan Brahma hen saddle. Abdomen: bright yellow thread base, brown dorsal markings and small yellow d-rib over. Thorax: Golden tan hares ear and iridescent yellow bead. Legs: Dyed golden tan Brahma hen saddle. Wingcase: Bustard thin skin, UV resin. Head: Tying thread colored with brown marker. Underbody: Uni-Stretch to form taper. Abdomen: Red phase grouse center tail feather trimmed, split and wrapped. Note: An excellent cased caddis imitation. Abdomen: Natural hare's mask fur. Thorax: Muskrat gray followed by black hare's mask fur. Hook: Firehole Sticks 317 #10-14. Abdomen: Cappuccino and orange hare's mask fur. Thorax: Orange hare's mask fur..